One of my job stints at Hallmark was as the food team marketing manager. Our retail focused team was charged with marketing to and through the grocery channel of trade. While in that role, I created three merchandising programs that significantly increased sales for our Ambassador brand of products: season integrated marketing (fun free standing merchandisers with seasonal themes and cross-promotions with other brands in the seasonal aisles), check stand greetings (a selection of impulse greeting cards offered near the cash registers) and satellite sales (e.g., birthday cards cross promoted with birthday cakes in the bakery section of the store). Together, these merchandising programs generated more than $40 million in incremental sales for the company in 1994. I previously wrote about the M&M promotion in the airport duty free store. 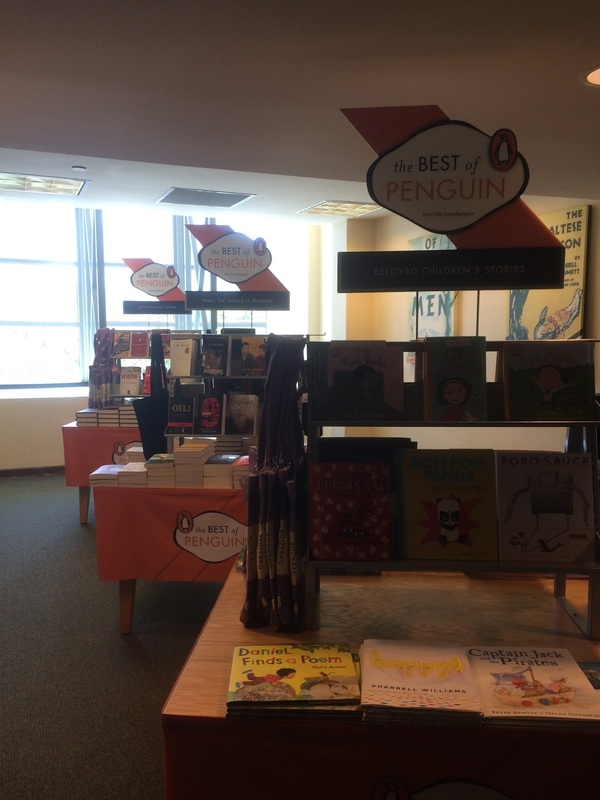 And here is a Penguin merchandising approach that I have seen in several Barnes & Noble stores. 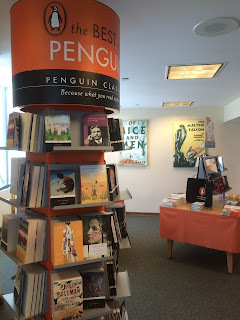 My point with this is that if you are a brand that sells at retail, don't forget to infuse your product merchandising approaches with some creativity. Your product does not need to be captive on its expected shelf adjacent to competitive products. With some creativity, you can make your product stand out in the store.